The Militant - September 2, 2002 -- Who are the Cuban revolutionaries framed and jailed by Washington? framed and jailed by Washington? Five Cuban revolutionaries are currently serving prison terms of between 15 years and a double life sentence after being framed up and convicted in June 2001 in a U.S. federal court. They are René González, Gerardo Hernández, Ramón Labañino, Antonio Guerrero, and Fernando González. The five revolutionaries were in the United States on an internationalist mission to defend the sovereignty of their country and the Cuban Revolution. They gathered information on the activities of counterrevolutionary groups in Florida--organizations with a history of launching violent attacks on Cuba from U.S. soil. The groups have been able to operate with impunity from Florida, often with the assistance of, training by, and funding from the U.S. government. Unable to prove any illegal acts by the five men, the federal government pushed through convictions on a series of conspiracy charges, including conspiracy to act as an unregistered agent of a foreign power, to commit espionage, and to commit murder. An international campaign is being waged by various organizations to explain the truth about the cases of the five Cubans and to demand they be released from prison. Extensive information on this fight can be found at themilitant.com. The Militant is running short biographical sketches of each of the five. The biographies of Gerardo Hernández and René González appeared in the August 19 and 26 issues respectively. Following is the biography of Fernando González. 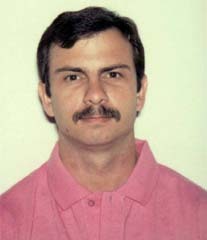 "I restate my pride in being part of the Cuban people and of their revolution," wrote Fernando González Llort in a letter to Cuba, before being sentenced to 19 years in a U.S. jail in December, 2001. González was born in Havana on August 18, 1963. During the period of his schooling, he took on leadership responsibilities in his high school and university students organizations, as well as the Union of Young Communists. In 1987 González graduated from the Raúl Roa García Higher Institute of International Relations. From 1987 to 1989, González, like hundreds of thousands of other volunteers, joined the Cuban military contingent fighting alongside the armed forces of newly independent Angola. The young Cuban served in a tank battalion during the defeat of the invading army of the South African apartheid regime--an outcome in which the Cuban volunteers played a decisive role. González was awarded medals of honor for his part in the fighting. In 1988, during his tour of duty in Angola, he was taken into membership of the Cuban Communist Party. In the mid-1990s González left Cuba for the United States and a new revolutionary mission. His principal task, reports Prensa Latina, was to keep Orlando Bosch, a known counterrevolutionary terrorist, under surveillance. Bosch is accused in Cuba of the October 1976 bombing of an Air Cubana jet off the coast of Barbados. The attack killed all 73 passengers and crew. González’s mother, Magali Llort, describes her son as "a typical Cuban," who "tries to dance" and "likes to play baseball, participated in every voluntary work effort, and loves music." He is not an extraordinary human being, she said, but "a normal individual."